The wine style of Foley Sonoma is guided by a youthful enthusiasm and tireless dedication to the pursuit of quality and pleasure. We are a fun-loving group with a slightly irreverent attitude with respect to the traditional methods of producing and marketing wine. 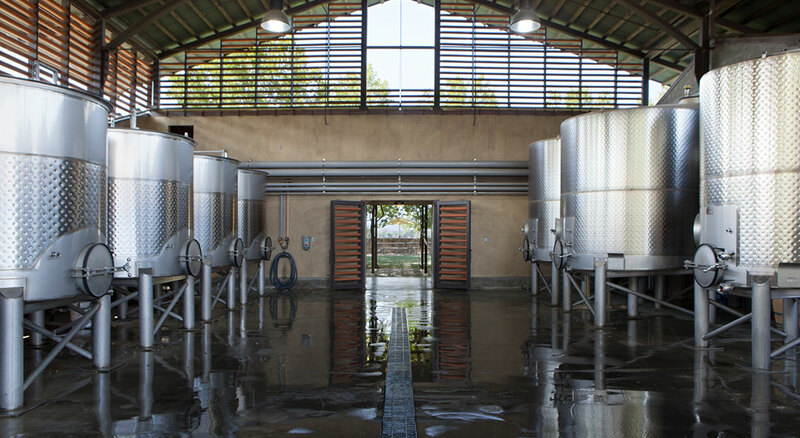 We go to considerable expense to grow and produce pure, balanced wines that are fully extracted, rich in complexity and exude depth of character. These wines are enjoyable in their youth, but also reward those with patience. The wines of FoleySonoma are truly handcrafted, making use of both old-world traditional methods and the judicious integration of modern tools designed to allow for gentler handling of both fruit and wine. Our approach is sometimes risky, but the resulting bold, forward style is what we like to drink and we have found a growing following that also appreciates these wines. The focus of our winemaking efforts is centered around the Cabernet family of varietals. Nonetheless, we also have a keen interest in Zinfandel and Chardonnay. Our annual production is roughly 4,000 to 6,000 cases, consisting of many small lots averaging in size from 200 to 400 cases each.